As a teenager I answered the call to the ministry after preparing for a summer mission trip led by my Association of churches in Southeastern Wisconsin. The Lakeland Baptist Association and Dr. Mike Brown the DOM took us on a trip to West Bend, Wisconsin where we did door-to-door surveys looking for prospects. We stayed with Dr. Jim Walsh, a retired missionary to Kenya. He planned to plant a church there. The week did two things for me. It gave me a hunger for doing ministry, which resulted in my answering the call and dedicating my life to the Gospel Ministry. Second, it unearthed a passion for international missions. Dr. Walsh told me amazing stories about his life as a missionary in Kenya and I originally told my home church in Milwaukee, Wisconsin that God called me to become a missionary there. Circumstances never allowed me to go to Kenya or even out of the country. However, I try to lead the churches I pastor to support international and domestic missions. God used a North American Missionary in Mike Brown to disciple me to the point where I’d answer a call and used an international missionary in Jim Walsh to give me a hunger to support missions. 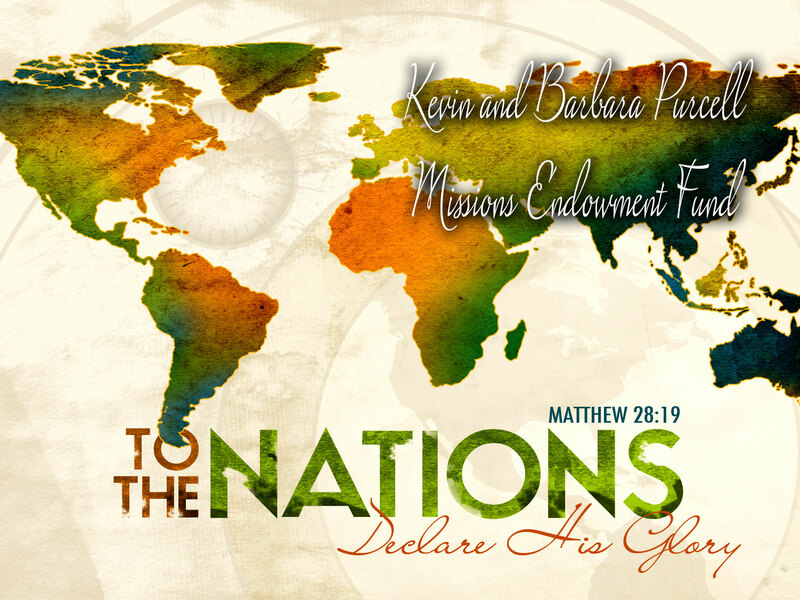 Over a decade ago, my wife and I decided to create the Kevin and Barbara Purcell Missions Endowment Fund. It’s a fund invested through the North Carolina Baptist Foundation and the proceeds for the fund go to support the Lottie Moon Christmas Offering in the church where I’m a pastor. Each December that year’s proceeds from the fund go to our church and they send 100 percent of it on to the offering. One hundred percent of that money goes overseas to support mission work on the other continents and Mexico. I don’t get any of this money nor does any one in my family. All of it goes to missions, 100%. When we die, it will continue to support missions until Jesus comes.